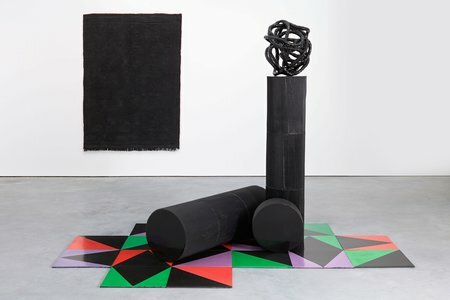 Following an Open Call in 2016, Eva Rothschild was selected to work with Master Weaver, Philip Sanderson, at West Dean Tapestry Studio to create a new hand-woven tapestry. 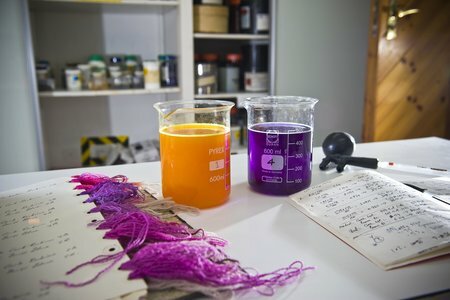 The resulting work, The Fallowfield, extends the artist's exploration of the meeting points between spirituality, power, visual perception and materiality. 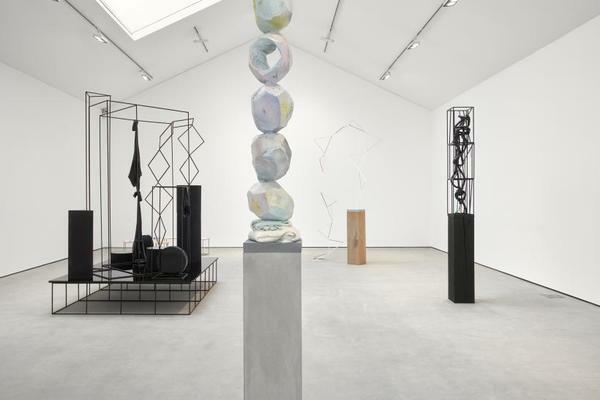 Eva Rothschild's work has developed out of the legacy of the modernist sculptural tradition, in particular the formal languages of such artists as Barbara Hepworth and Eva Hesse, both of whom, in their own ways, were committed to studying sculpture's capacity to create bodily encounters in space. Similarly, for Rothschild, scale, mass, volume and materiality are central components of her sculptural lexicon, but so are humour, illusion and ritual. The Fallowfield is brought into this sculptural lexicon in the exhibition 'Iceberg Hits' at Modern Art. Alongside materials such as Jesmonite, Perspex, steel, leather and beads, tapestry is presented as a sculptural medium, with the large work giving the illusionary sense of depth and volume with which Rothschild is concerned. The Fallowfield becomes part of a wider practice that explores how certain qualities of corporeality might be invested with spiritual meaning, and the precise point at which narratives might arise out of formal arrangements. 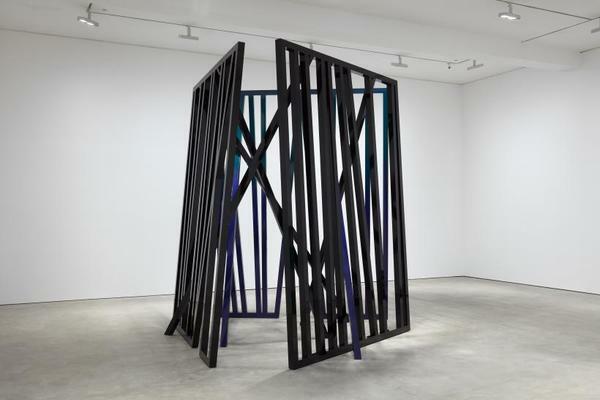 Rothschild is internationally recognised for her translations of these questions into both intimately scaled work as well as large sculptural interventions, both for indoor and outdoor public space. 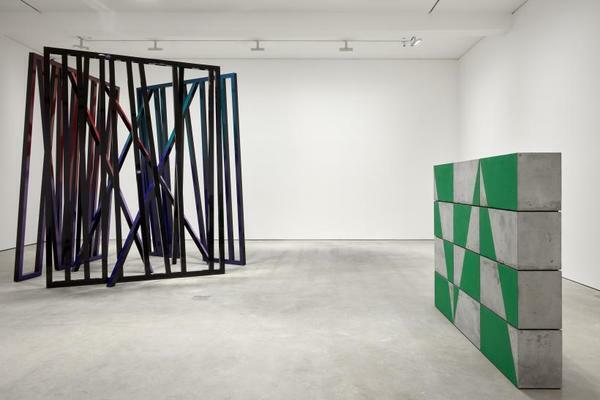 Her exhibition at Modern Art emphasises the breadth of her practice, encompassing work of varying scales and production techniques that respond to the space of the gallery, while also honing in on the specificity of her distinctive visual vocabulary. 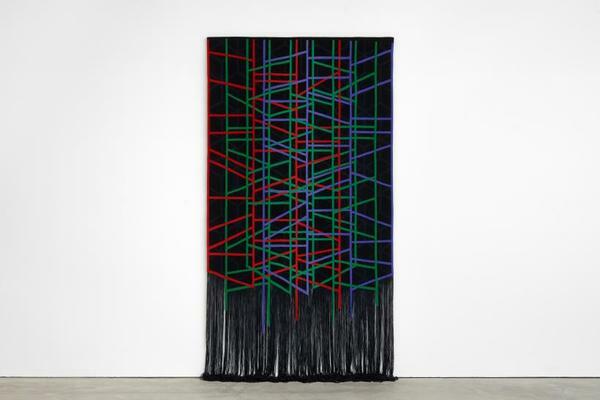 Eva Rothschild was born in Dublin in 1971, and she lives and works in London. Rothschild has undertaken large-scale commissions for Tate Britain's Duveen Galleries (2009) and Public Art Fund, New York (2011). Her work has been the subject of solo exhibitions at The New Art Gallery Walsall, Walsall, UK (2016-17); The Hugh Lane, Dublin, Ireland (2014); Nasher Sculpture Centre, Dallas, Texas, USA (2012), Kunstverein Hannover, Hannover, Germany (2011); South London Gallery, London (2007) and the Kunstalle Zürich, Zürich, Switzerland (2004). 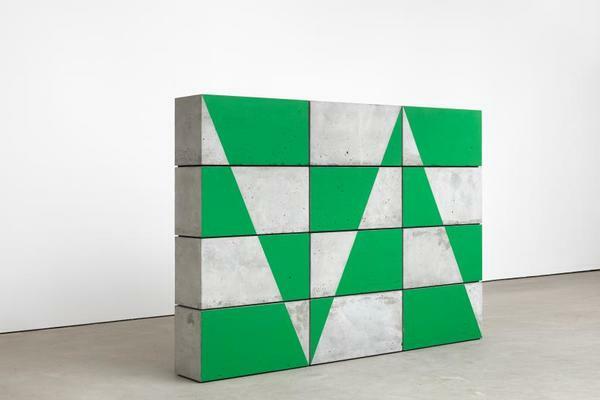 Rothschild's solo show Hot Touch in 2011 was the inaugural show at The Hepworth Wakefield, Wakefield. The artist's work is included in several institutional collections including the Walker Art Center in Minneapolis, MN, USA; Carnegie Museum Collection, Pittsburgh, PA, USA and the Tate Collection, London. In 2014, Rothschild was named a Royal Academician by the Royal Academy in London. 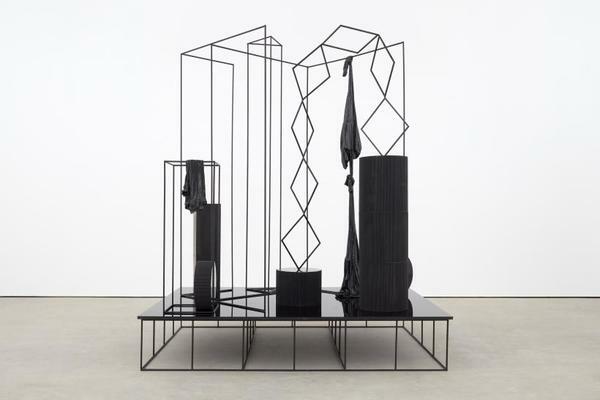 Eva Rothschild's work will be the subject of a forthcoming exhibition at Australian Centre for Contemporary Art, Melbourne, 22 September - 25 November 2018. 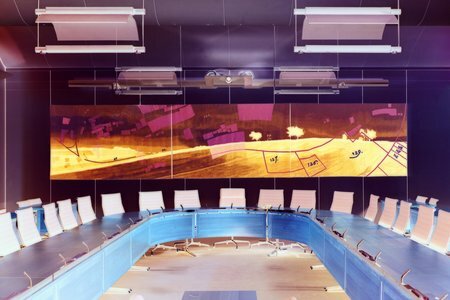 The professional Tapestry Studio is part of the School of Arts at West Dean College of Art and Conservation. Since 1976 the Studio has worked with artists and designers to translate their images into woven tapestry. Commissions have included 23 tapestries for Henry Moore, five tapestries for Tracey Emin, the creation of Work No.1683 by Martin Creed, and, more recently, new works by Studio Toogood, Rebecca Salter, Basil Beattie, and Biggs and Collins. Find out more: Eva discusses the objects, ideas and artworks that have shaped her thinking in Frieze, with an introduction by Declan Long.